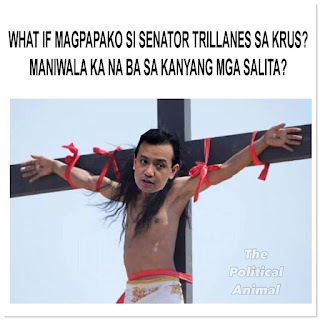 Here's another item that would be worth for the Philippines. 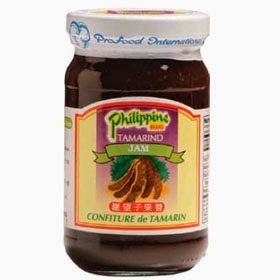 This is tamarind jam from Profoods International Corporation, which is one of the Philippines' better business models. So what's great about tamarind jam? Tamarind is one of the greatest tropical fruits around the tropical ares, and the Philippines is one of the best growers of tamarind. The fruit itself is used to make several delicacies like tamarind candy, which for me is one of the best things in Asia. I'll just admit I dislike the way Thais prepare their tamarind with chili, it's just not my type. And when made into jam, be ready for a strong punch of a flavor! For one, this jam has the taste of tamarind, which is sweet and sour in a delicious way. And I love to spread this on my bread because of its taste. But again, I am also a fan of strawberry jam and mango jam but this tamarind is one unique flavor pack! I would buy this whenever I can to get its unique flavor.